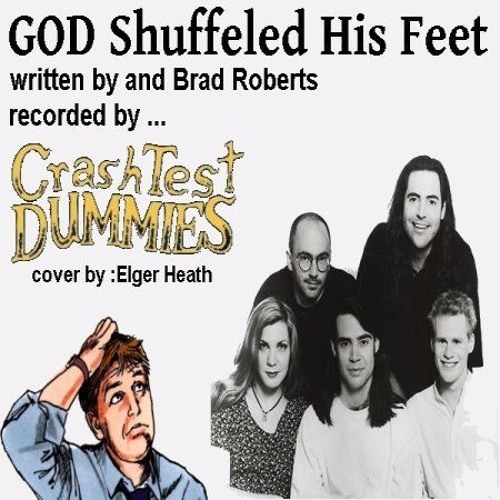 In 1993 the band, Crash Test Dummies recorded a unique tune called 'God Shuffled His Feet'. Tunes like this and 'MMMMmmmm' show this band's unique style. Brad Roberts put together an incredible piece of lyrics, full of meaning and humor. In the end 'God Shuffled His Feet' describes the difficulty of trying to understand an omnipresent being and how hard it would be for God to simplify his creation in a way that human beings could hope to understand. In the end there is bound to be a breakdown of communication between these two parties. Lyrics and story aside, the Crash Test Dummies did an incredible job interpreting this tune in a recording. That base voice adds an extra special accent on this song. Here is my simple, single track, cover of this tune. I hope you enjoy it.